Every cupcake needs some icing. Here is the companion to my Sour Cream Vanilla Cupcakes. This makes enough to frost a dozen cupcakes. If you like heaping piles of icing (or if you tend to lick the spoon as much as I do) you might want to double it. Directions: Over medium low heat cook the sweetener until it is dissolved. It will turn into a clear liquid. Remove from heat and cool for 5 minutes. Once the sweetener has cooled mix in the cocoa powder with an electric mixer. Next, mix in the butter. Finally, add the heavy cream and mix until fluffy and shiny. The only thing left to do is ice those cupcakes. This is also amazing as a sandwich cookie filling! Over medium low heat cook the sweetener until it is dissolved. It will turn into a clear liquid. Remove from heat and cool for 5 minutes. 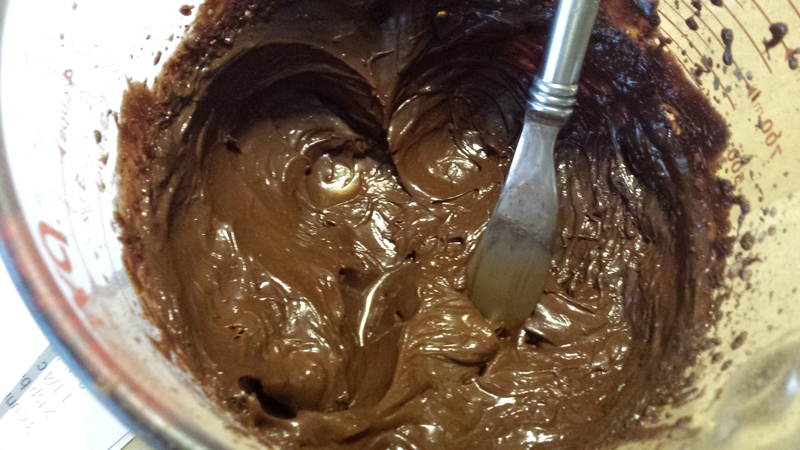 Once the sweetener has cooled mix in the cocoa powder with an electric mixer. Next, mix in the butter. Finally add the heavy cream and mix until fluffy and shiny. How many carbs in this icing? 1 total carb, 0 net carbs per serving. I have the serving as 1/12th of the recipe because this ices 12 cupcakes. I just made this and I did not have any problems with the sweetener part. Everything was going great. It was nice and shiny and then the problem I had is when I add heavy cream it never returned to the shiny it was before. Then I then it got over mixed...I was wondering if it is supposed to be cream cheese although the recipe and throughout the blog it says heavy cream...I don't know it just looks nothing like the picture. It looks like whip cream (chocolate of course) that was mixed too much. It still tastes ok just looks a little funny on the cupcakes. I made your sour cream vanilla cupcakes. They look pretty but I haven't tasted them yet. No, it is supposed to be heavy cream. You may just have over mixed it. This recipe has been on my to-do list for tweaking for awhile. I thought about just un-posting it but it works for most of my readers. I need to figure out why it is giving some people such trouble. Holy moly! My frosting got hard as a rock. Literally. I had to trash the bowl I was mixing in. I heated the gentle sweet til liquid and cooled. Added the cocoa and it was hard to mix, but then the butter really did it. What did I do wrong??? Hi Lindy, I'm not exactly sure. Was the liquid gentle sweet really cold or room temperature? Was the butter softened? I haven't heard of this happening to anyone else. Sorry! Im makintg this right now and that happened to me as well! That's so strange. I'm going to make a batch this week and see if I can figure it out. I have also had this problem. When I tried to set it aside to cool in my pan, it became white and hard again before it was room temp. I added my 1/4 cup cocoa after re-melting sweetener thinking that might do it. It was getting rock solid, so I added the butter, and it is just a big huge mess now. I will reheat a third time so I can save my pan, but there is no saving the mixture! I'm going to try the recipe by just powdering the sweetener. When I've made this I normally use my sweetener blend. It is similar to gentle sweet but not an exact copy. I wonder if that's where the problem lies. I melt my sweetener all the time and it never goes back to a solid so quickly. I'm sorry it didn't work out for you. I had the same thing happen.i think 5 min is too long of a cooling time. That's my guess. 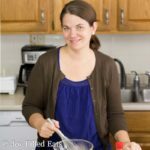 Is anything added to the gentle sweet when you cook it? Or will it change to a liquid with nothing added? Yes, it changes into a liquid with nothing added. An all natural zero calories sweetener sold by Trim Healthy Mama. 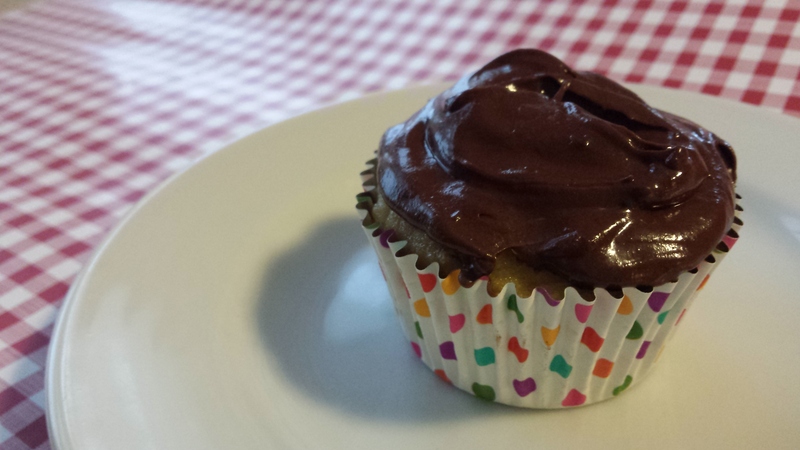 You can click the link for my copycat recipe using erythritol, xylitol, and stevia.